I'm asking for it with this thread (having been in the Alvin and The Chipmunks fandom, canon shippers and mixed shippers go to war with each other over such subject matter), but I have noticed that a number of Arthur fans like to try and figure out which of the characters eventually hook up with each other when they get older. I've noticed most people tend to think Arthur and Francine will get together, and I can see that kind of, aside from the episode that played with that idea ("Arthur and the Square Dance"), it does seem like once in a while, Francine will tease Arthur a little in a way girls seem to do when they like a boy. 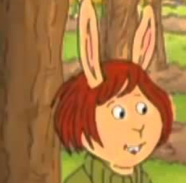 On the subject of Francine, if not Arthur, I could see her questioning her orientation, so to speak, and possibly having hidden feelings for Muffy (their shared daydream in "Arthur and the True Francine" where they think of themselves as literally a match made in Heaven is enough to tickle your mind in that department). 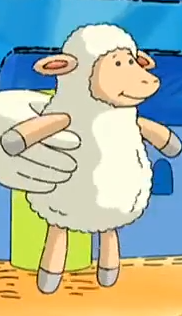 If Muffy ever found out, though, she would probably be repulsed. I can definitely see Binky and Sue Ellen getting together in the future... their friendship seems to be rather unique, I think it dates back to "Bully for Binky"; "Sue Ellen's Lost Diary" seems to play with the idea as well, but overall, they just seem to have these little "moments" throughout the series, like notice whenever something involves the gang, Sue Ellen usually seeks out Binky first. Brain and Fern seem like they could make an interesting pair with them both being the smarter students in their class. I like Buster/Fern because I thought the episode where they were detectives was cute. I'm also mainstream by liking Arthur and Francine. Alex and Maria are possibly the most obvious when it comes to couples. Brain and Lydia same story as well. I could actually see that happening with these characters if the series ever did something that involved couples or girlfriends. Buster/Fern... that's interesting. Not sure if I could see that one playing out myself, I think perhaps Buster would be a little "too weird" for Fern's taste, lol. Wow GrebeGirl... you blew my mind! That love quadrangle idea there, that should totally be a fanfic, I'm serious! You do have a point with Francine/Brain, their friendship is indeed rocky at times, and like you say, it's almost similar to husband-wife bickering... I remember one episode where Arthur started the show by actually instigating a debate between the two of them, funny stuff. And EVERY body says Buster is going to end up in the closet! XD I've never really given Buster that much though, only other I like to think back on a twistedly funny fanfic I read once where in high school, he was such a stoner, and did a book report on a book about colors, babbling on and on and on and on about how he had yet to, "Master the wonders of secondary colors". It does make me wonder though, how exactly would Arthur initially react to finding out that Buster was in the closet? And good lord, I can't believe I'm hearing/reading D.W. and love triangles in the same sentence! XD This would have to require some thinking of older ages, like with the others, because at that age, I can't see something like that happening, particularly in the "Kiss and Tell" episode, where both Tibbles having cootie scares when they jumped to the conclusion that D.W. wanted to kiss them. Lol, yeah, but it was a few years back, and I don't remember what the title was, let alone, what the main plot to the story was, as Buster's constant high was a subplot, but I remember they were in high school, that much I remember... and, not surprisingly, Mr. Ratburn was their teacher. In addition to Buster's book report, I think there was also a point in the fic where he wanted to fly, so he tried to by jumping off the balcony of his apartment, and breaking his arm, afterwards Bitzi started beating him up in the hospital for pulling such a stupid move. This is a lot of cross-breeding. Ugh. I think the animals should stick with the same species. Ive always had a pretty assertive idea of who should end up with who, because after awhile I get so frustrated with trying to pair everyone, that I usually conclude that a BusterxPizza would have to work. wow. i like that one waaaay better than mine. I really never think about Arthur relationships, but I would say this is exactly how I would imagine them. The only relationship that I had thought about before was Binky/Sue Ellen. I always thought that this one was pretty obvious. I can't recall any episodes off the top of my head at the moment, but I've always picked up some subtle hints throughout the series that made me pair them up in my head. the only ones i dont agree with arthurxfrancine. its arthurxsue ellen and francinexgeorge all the way. fern would go with that cream colored dog who danced with her in "its only rock and roll." Yeah...I could see Francine "playing for the home team" when she gets older as being a real possibility, and it almost seems as if she's designed to be that way. Although she seems to have a crush on Arthur in a few early episodes, it's noteworthy that she's later completely repulsed at the idea of being attracted to him (Arthur's Square Dance). 1. The fact that her father refers to her by the commonly male nickname, "Franky." 2. She gender-swaps and appears as a fully-bearded male Greek God in D.W.s Odyssey tale. 3. She gender-swaps again when she plays Thomas Edison in "Francine Frensky, Superstar." 4. She often wears men's suits and costumes at formal events ("Elwood City Turns 100" for instance). I can definitely see this becoming a real obstacle to their friendship when she and Muffy finally get old enough to figure things out. oh come on. 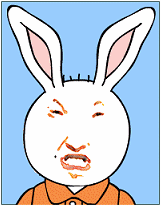 francine is that rare example of a species i am a part of called "the tomboy." she wears pants to parties. uh, so do i! (i would wear pants to every social event if i could, but my mom doesn't let me. ) i love sports. just becuase you like doing something useful and fun (not to mention competitive. ) with your body doesn't mean you are LGBT. in D.W.s story, it was the girls imagination. 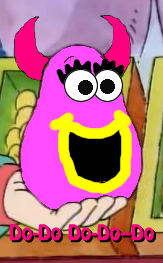 she probably saw francine as bossy, so she put her in as someone bossy, and the thing with the play was just a kids play. in a little kids play its not such a big deal. as for the dad calling her "franky," that is the most ridiculous thing ever. becuase her dad calles her franky, she must be lesbian? i mean come on. its fine when girls have boy nicknames, alot do, it doesn't make them attracted to other girls. i have seen what LGBT is, and it isn't here at all. no Brain LGBT. he mine.